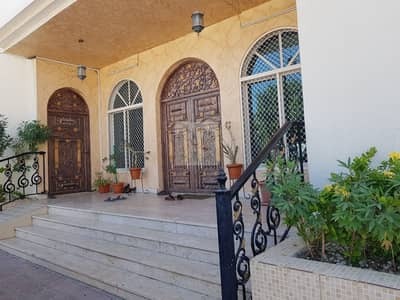 Looking to rent a property in Nad Al Hamar instead? With a paradigm shift in Dubai's real estate market, the properties of Dubai are gathering momentum and strengthening their position among housing units in the United Arab Emirates. The city that has previously built its reputation in the leasehold residential projects has now taken a giant leap and started offering freehold residential projects. Nad Al Hammar, a top-notch property in Dubai is a prime example of this shift. Situated at the crossroads of Emirates Road and Ras Al Khor Road, Nad Al Hammar lies on the outskirts of Dubai. Spanning across an area of 3 sq. mi, the real estate in Nad Al Hammar provides a living space to 2,563 occupants. With a 320 sq. km. density, Nad Al Hammar holds a Dubai Electricity and Water Authority system, a state-run organization that ensures the provision of 470 million gallons of water and 10,200 MW of electricity to occupants. Delivering a bird's eye view of the heritage architecture of Dubai Creek and Old Town, Nad Al Hamar is one of the top-notch industrial hubs in Dubai that contains dusty clusters of shops and factories. With everything from residential plots to commercial properties to villas to warehouses, Nad Al Hamar provides a great living experience to both locals and expats alike. Consisting of 6 bedroom houses that exhibit a blend of contemporary and Arabic vernacular style of architecture, Nad Al Hammar offers not only a luxurious but a super-practical residential space. Likewise, helping residents store their manufacturing and agricultural goods, Nad Al Hamar contains a variety of warehouses where occupants can load and unload their goods. Buying comes with a lot of under-talked benefits. Not just that it offers greater privacy to the occupants but also builds equity and provides a nest egg for the future. If you are looking to buy a property in Dubai, you can think of buying a commercial plot in Nad Al Hamar. The sale price of commercial plots in Nad Al Hamar starts from AED 9,000,000 and goes up to AED 50,000,000. Located within the premises of Nad Al Hamar is Nad Al Hamar Park, a less-crowded, family-oriented park which has no entrance fee. Offering eco-friendly features, Nad Al Hamar Park is a project built by Dubai Municipality. With reduced cement spaces and increased green areas, the park covers an area of 4 hectares. Consisting of a small football ground, cafeteria, children's play area and a synthetic 800 metre jogging track, Nad Al Hamar Park is a medium-sized, safe and secure place for the kids as well as adults. Encompassed by seasonal flowers, shrubs and herbal trees, Nad Al Hamar Park creates a serene environment for visitors. Nestled in the picturesque community of Nad Al Hamar is Nad Al Hamar Avenue that serves as one of the topmost shopping precincts in Dubai. It is home to Dubai Government Human Resources Department, Qetan Ladies Tailoring, Coda Jewellery, Eleganza Coffeeshop, Flavor Cake Cafeteria and Prestige Palace Beauty Salon. Sharing a cosmopolitan vibe that is synonymous with Dubai, Nad Al Hamar contains Zam Zam Mandi Restaurant that serves over 25,000 guests per day with the help of its 500 employees. Established in the year 2009, Zam Zam Mandi Restaurant consists of coffee shops and plenty of restaurants that offer Indian cuisine. With plenty of schools, hospitals, restaurants and shopping outlets in the community, people from far and wide are flocking to Nad Al Hamar. Offering reasonable residential and commercial spaces to inhabitants, Nad Al Hamar serves as an ideal buying choice for those seeking an ultra-luxurious living space. It offers all the amenities along with easy transportation options. You can go to and from the mainland through six ways that include Metro, line 53 bus that takes an estimated time of 1 hour and 29 minutes, Metro, line 24 bus that takes 1 hour and 33 minutes, line 8 bus and line 64 bus that clocks up to 2 hours and taxi that only takes 28 minutes to take residents to their desired destination. 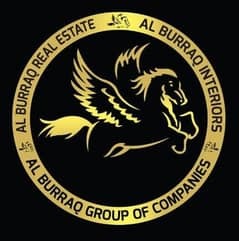 I am looking for Properties for sale in Nad Al Hamar, Dubai, UAE. Please let me know about any suitable properties you have. Thank you.